A Bnei Brak family was devastated last month, after the passing of Chava Strauss, mother of 7. A Bnei Brak family was devastated last month, after the passing of mother of 7 Chava Strauss. Chava had reportedly been feeling ill for a little under a month when she was diagnosed with cancer. It took just one more month for her to pass away. The swiftness of the disease left her family in a state of chaos. All 7 children are still at home. The youngest is Moshe Yehoshua, just five years old. Since Chava’s passing, her teenage daughters have devoted their lives to helping their father run the household. Reb Strauss works as a cheder rebbe, and spends all of his available hours tending to his own childrens’ needs. Cooking, cleaning, and logistical matters which he is not able to address are handled by Batya (18), Fruma (15), and Faigy (12). Though they are just children themselves, this is the sobering reality for kids in mourning. The current state of the Strauss home is a painful one to behold, as father Yaakov Meir Strauss’s salary is not enough to single-handedly keep his household afloat. With little to no money for bills, and the children is a state of shock and trauma, they have run out of viable options. Their emergency fund page includes a candid letter to the public. “We miss our mom,” text reads. A video on the page shows two small boys, one blonde, the other brunette. “Please help us … so that we can go to cheder,” pleads 9-year-old Shimmy. This is a window into the level of poverty the family is experiencing: They cannot even afford school tuition. 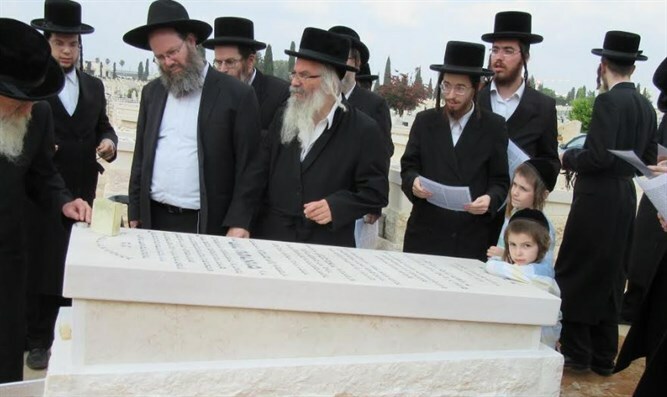 Those who have never experienced it cannot imagine the pain of 5-year-old Moshe Yehoshua, standing at his mother’s grave, just one month after she fell ill. Where there is pain, however, there is also hope. If strangers can unite to help the Strauss family, these precious children can experience little moments of happiness: a decent meal on Shabbos, a new pair of shoes for the winter, or a day at school with friends. Almost, for a moment, as if their mother were alive.